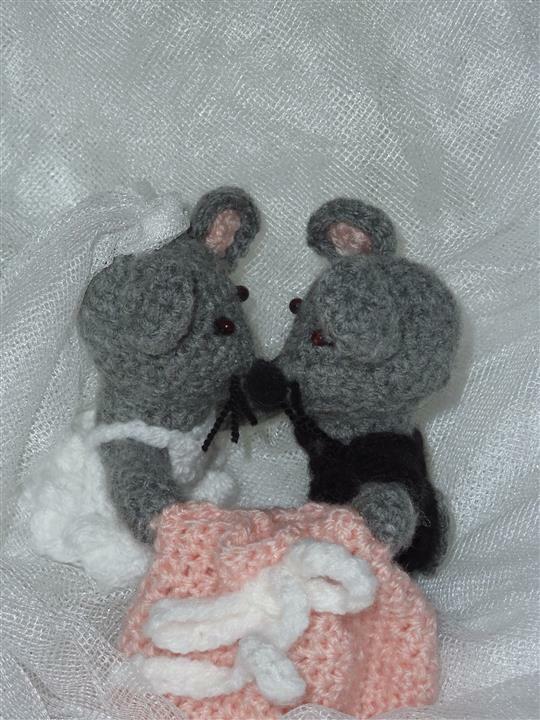 I made these marrying mice as a wedding present some years back. 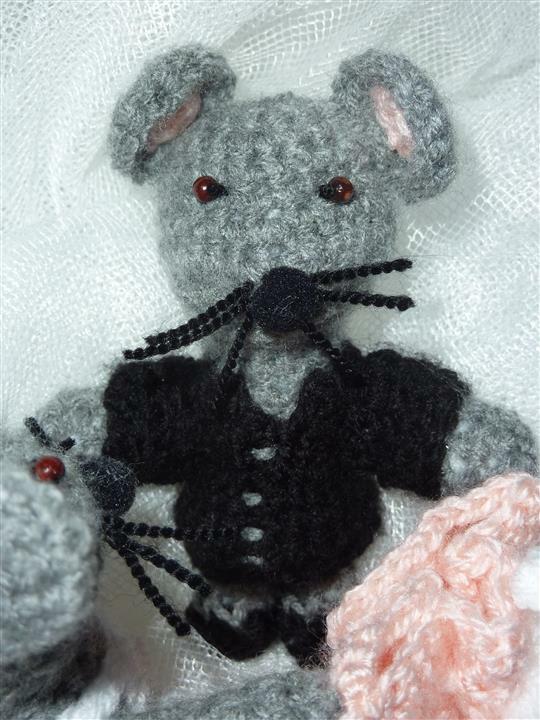 They are based on a pattern of mice I found in a book called ‘100 Kleine Häkelfiguren’ but I adjusted them for their purpose. 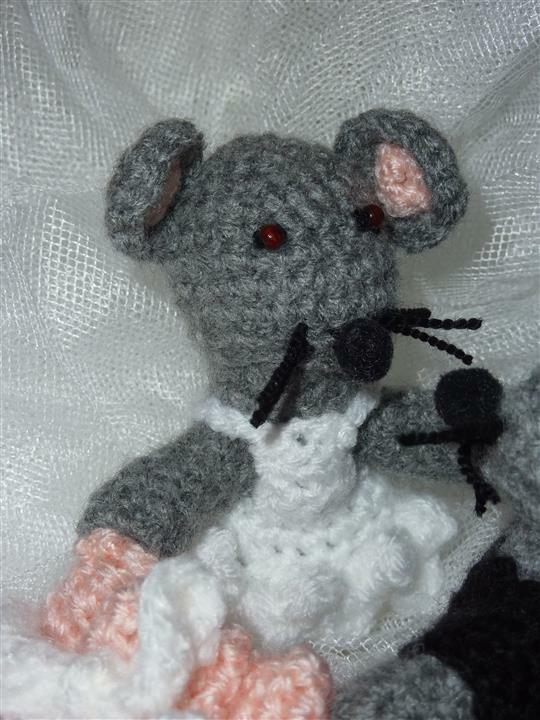 They are holding a little crochet bag which contained a money present.